CHP reports state that the accident happened at around 9:25 P.M. The Woodland woman had been driving a 2016 model Honda Civic on Highway 49. She was driving southbound to the north of Longhrut Road and traveling at an unknown speed when she lost control of the car. The Honda spun out counter-clockwise and eventually traveled off of the western edge of the highway. The vehicle overturned and eventually stopped when it struck a tree. Emergency personnel who were at the scene of the accident found both the driver and passenger with serious trauma. Tragically, the passenger could not recover. Medics declared him deceased on-scene. The driver was found with major internal trauma. The woman was taken by helicopter to the Sutter Roseville hospital. The woman was set to be released from the hospital on Monday, February 4, 2019. Police kept the southbound lane of the highway closed to traffic for around an hour. During this time, investigators surveyed the crash site. CHP says that it was raining when the accident happened. Rollover accidents like this one are dangerous but can be survivable if the roof of a vehicle does not cave in. Crushed roofs are the cause of many different types of accident injuries. There is legislation aimed to help correct the issue of dangerously weak roofs. However, many older model vehicles aren’t covered by these roof strength restrictions. Furthermore, a vehicle’s design might not be an adequate survival space in the event of a rollover crash. Weak Supports: support elements that are made out of weak materials can allow a roof to buckle or crush downward. Even if a roof is made out of strong material, it can still cause damages if its supports have weak connections or reinforcements. Roof Structure: Roofs are sometimes made of materials like weak sheet metal. These materials are sometimes not able to withstand a vehicle’s weight. Even vehicles that meet current roof strength rules sometimes have inadequate safety design. Be sure to retain the vehicle after a rollover accident so that it can be inspected by your attorney and his or her experts. 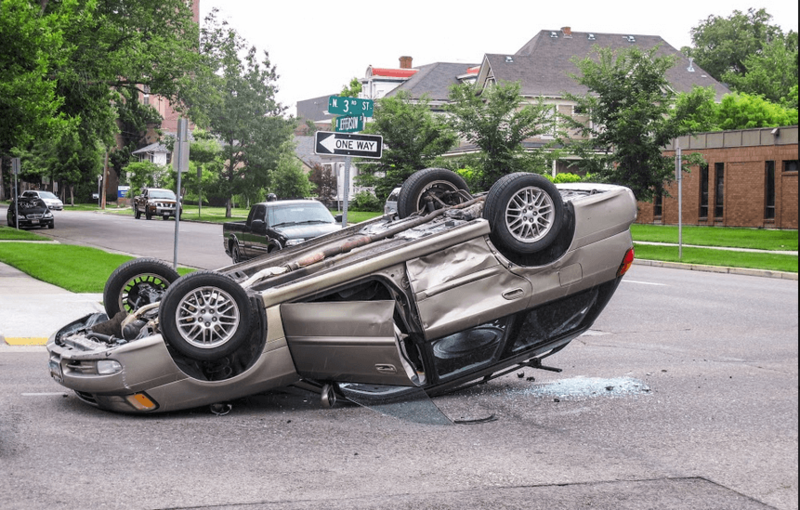 Having a lawyer who has dealt with rollover accidents can be invaluable when you are evaluating the collision. A good attorney will check to see if there have been roof failures in crashes with your model of vehicle. An established lawyer will also have the resources to consult crushed roof experts who can evaluate whether or not a roof is defective. California is a comparative fault state, meaning that even if there were other factors involved in the crash, auto manufacturers can still be held liable for defective products. Your lawyer can investigate and analyze the evidence of your case in order to negotiate with insurers. If insurers do not offer the amount you deserve, your lawyer should be ready to take your case to trial. It may be difficult to think about dealing with wrongful death damages after you have endured such a tragic event. However, the sooner a lawyer can begin working on your case, the more effective they can be. For this reason, it is often crucial to get in touch with an attorney at the earliest possibility. I’m Ed Smith, a Placerville wrongful death lawyer. The loss of a loved one is life-changing. If a fatal car accident left a person you love with fatal injuries, contact my office at (530) 392-9400 or (800) 404-5400 for free, friendly advice.